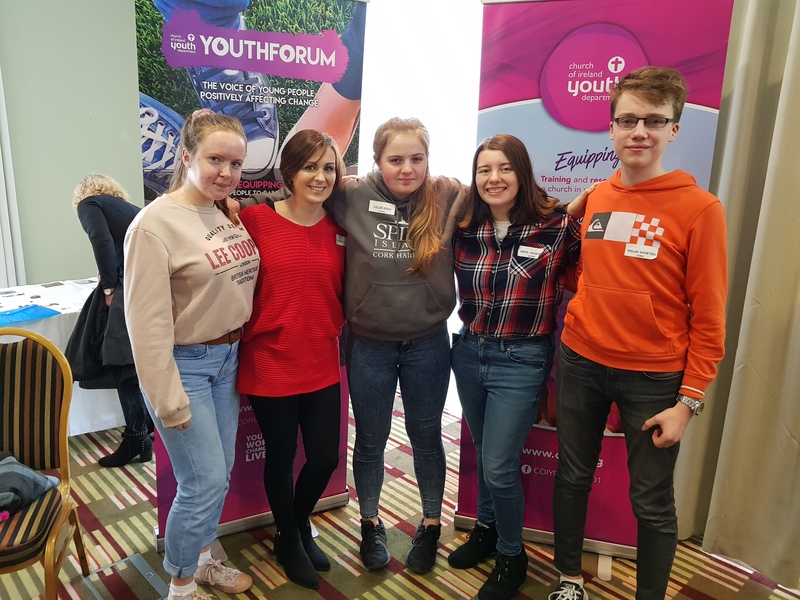 Four young people from Cork, Cloyne and Ross – from Carrigaline, Kilgarriffe and Rosscarbery parishes accompanied by the Diocesan Youth Officer Hilda Connolly attended the second annual Church of Ireland Youth Forum, which took place on Saturday 19th January in the City North Hotel in Dublin. Around 50 young people from throughout Ireland attended. The Forum was organized by Church of Ireland Youth Department (CIYD) and was facilitated by Nic and Sally Sheppard of Church Army and assisted by Simon Henry, Steve Grasham and Barbara Swann from CIYD. The Archbishop of Dublin, Dr. Michael Jackson opened the day and spoke about the 150th anniversary of the Disestablishment of the Church of Ireland. He encouraged the young people with the slogan “free to shape your own future”. Bishop Storey, who is chairperson for CIYD, was also present and very involved throughout the morning, chatting and engaging with everyone present. The day was made up of debates, icebreakers, discussions and activities. The young people examined issues affecting young people and how they can be supported and encouraged within their church. The young people, including those from Cork, clearly showed that they wanted to be there to learn more about the Church and to be part of it to discuss what they need and want from it and how they can be included more: an amazing bunch of young people gathered from all over Ireland and really got stuck in! Youth Forum 2019 was a success once again! This entry was posted in CDYC, Church of Ireland, Church of Ireland Youth Council, Youth Work. Bookmark the permalink.